We have spent more than 56 Hours in researching and created this guide that will help you to learn about Green Home Building. Why You Should Build A Green Home? 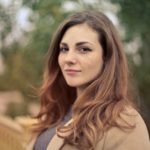 How to select a site and develop it? Living more green is not simply a thing you should consider for your home. It is also something that you need to believe it. 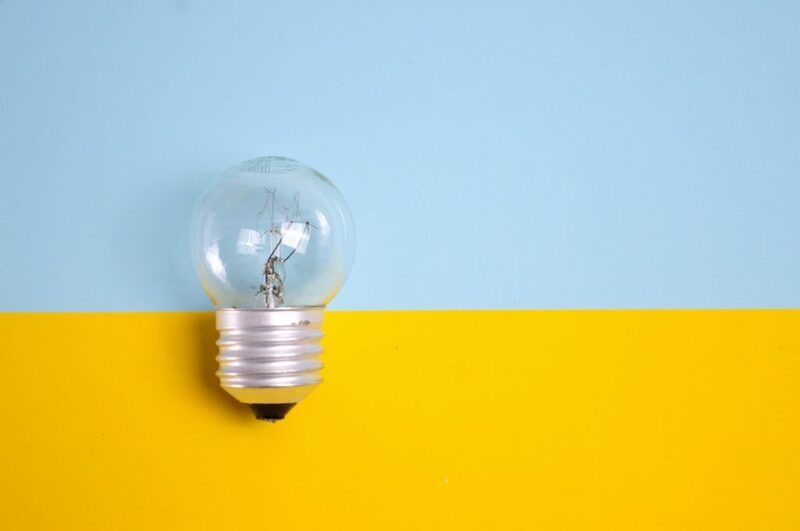 Since it is a mindset, the main goal is to eventually reduce your carbon footprint, whilst keeping your home viable and living conditions suitable and livable to not really change your lifestyle quality too much. A green home might not always be the easiest thing to do, but once you have done it, you will notice that you are saving a lot of money as well. Reducing your carbon footprint could help save the environment and your children can have a better life and perhaps even see the world as we get to see it today. When selecting the site for your new home, you will need to put in a little research. The environment might be scattered with trees and natural things that you won’t actually want to break down or change too much. Having multiple trees can help you when it comes to things like shade and potentially even the growth of different garden types. Natural Water: Water is the most important things when it comes to life itself and you need to look for some sort of water integration for your home. Boreholes and natural fountains can be a great help. Weather Conditions: 2 of the main ways of natural power is by simply using the wind or solar power. You need to have a basic understanding of the weather conditions if you want to do this and find out of there will be enough sun. Additionally, you could look for a windy area for wind power. Fertility of the ground: You will definitely be growing all of your fruits and vegetables on your own. However, the ground needs to be fertile enough to do so and you should consider having an expert assist you to see what can grow in specific environments. These are the three major things to look for when you are finding a site for your new green home. With modern technology, the rest of the things can be really easy to add and you can have an eco home built in virtually no time at all. Once you have selected the site, it is really important to start the development. When it comes to the development, you need a good foundation, but much like the design of the home can help with heat retention, your foundation can also be a good place to start if you want to keep the heat trapped on the inside. Materials like plywood and aluminum can be used for your foundation. They might be a little more expensive than other materials that are generally used for the foundation, but they could limit your need for things like heaters. Around the home, solid concrete remains one of the best options to keep the water from seeping underneath. We all know how much damage rainwater can do, but concrete can be used to form a wall underground and perhaps even create tunnels that will help guide the water to a specific water point. This will be an excellent way for you to catch rainwater. As for your basement, you need to have this insulated as much as possible. When insulating your basement, you will find that moisture cannot easily build up on the inside and the outside. With the moisture limited to create the growth of mold, your home tends to last much longer and the maintenance costs will be reduced significantly. Once your site has been efficiently constructed and you are ready for the house to be built, it is time to look at some of the materials that will not only be efficient for durability but also sustainable to the environment. Some of these materials might have a higher initial cost, but they will eventually ensure that your home is looking at it’s best, without doing any damage to the environment. While using things like mud to build your home is really sustainable, it does not have any aesthetic appeal. We want to have the home look great while making it sustainable to live in as well and also ensure that it will definitely do the job that most materials will do for different homes. Here are a couple of materials to use. Recycled Steel: if you want to have your home fortified, you can turn to something like recycled steel. It might be a little more expensive than many of the other materials, but you can be sure that strong winds won’t blow away your home. The only real downside is that the home might be a little cold to live inside. Precast Concrete: Concrete is and will always be an effective way to strengthen your home. While you can use normal concrete, precast concrete is a little more eco-friendly. Since you won’t have as much wastage on the site with the molding, these are prepared in casts and once the concrete has been cured, it can be shipped. However, it might be a little more expensive. 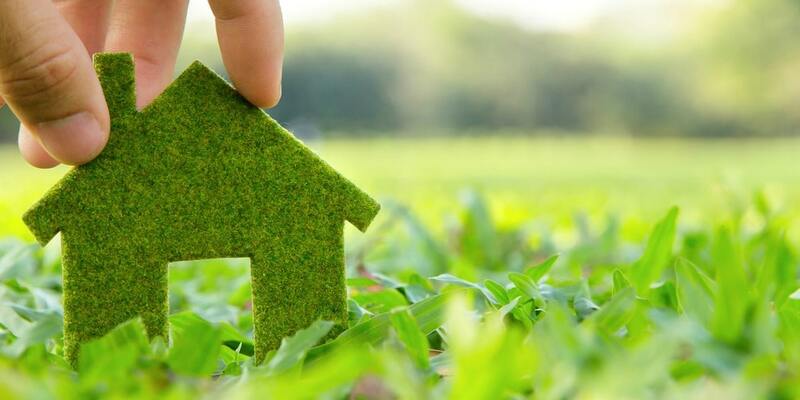 Plant-based polyurethane foam: Once you have built the home with the materials that you need, this foam can be used with them. 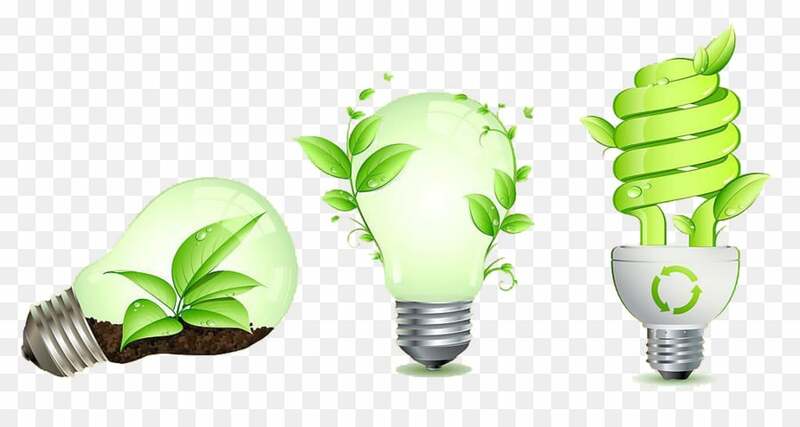 Since steel is one of the colder materials and does not hold heat as well as many of the others, it is really effective to use polyurethane foam that has been gathered from plants. This will add another layer of insulation to your home and your heat will be much easier to save. Bamboo: We have all watched some of these movies with the bamboo being used on islands to construct homes. However, it is actually not a myth and bamboo is being used over normal wood in most green homes. Since it has excellent tensile strength, it can be used to build windows and this will provide you with the optimal ventilation. It also does not need too much maintenance. Build A Garden: A garden is always something that you will need and it is a handy way to grow some of your foods. Since it has direct sunlight, you can choose to grow certain vegetable on the roof that works with direct sunlight. Roof Color: When it comes to the sun, we have all been told that darker colors will absorb more heat than lighter colors. 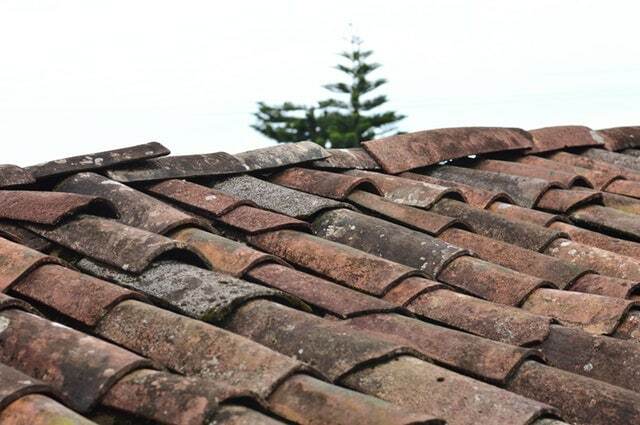 This is true for your roof as well and when living the eco-friendly lifestyle, you should have a lighter roof as this will help to reflect more of the heat and keep you cool on the inside. Add Solar Panels: If you have a good design and you get a lot of sunlight, why not capitalize on this and add a few solar panels. While it is easy to add the solar panels anywhere else on the property, to make use of the power and reduce some of the wirings, they will work well when you add them to the roof. Sun Roof: In the winter months, we always complain about the cold. However, a sunroof is an excellent way to have some heat come inside the home. However, this should be a roof with the ability to close in the summer months and reflect the heat away to keep it cool on the inside. Reducing the maintenance of our homes is something that we all would like to do. Once it has been reduced, you can save a couple of bucks. The best way to reduce maintenance is to build your home with materials that won’t require maintenance too often. 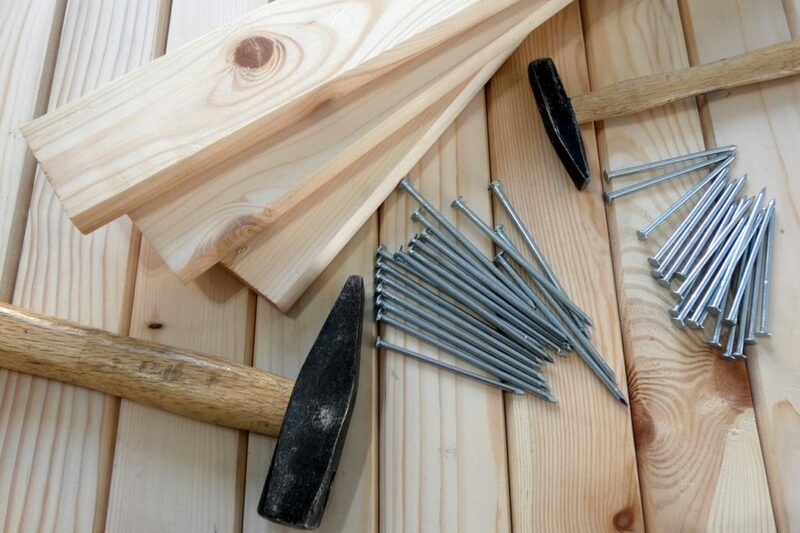 Wood is something that will require yearly treatments and should be avoided. Solid materials like steel will be much better and it has a higher durability rating. This is the same for concrete. However, if you do choose a sustainable wood as part of your home, you should have it treated often. This will keep any bugs from nesting inside and it should be waterproof as well. You can easily find a couple of waterproof coatings to make this possible. How To Set Up Renewable Energy? Wind Energy: The wind is a natural source of power that we see every day. Spring is generally the time of year when the wind is strong and you can actually capitalize on this. The standard windmill in many of the newer designs can be used to power batteries that have been attached. If you have a large lot, you can set up a couple of these to ensure. It also does not leave any carbon footprint behind. Solar Power: Another natural resource we all have access to is the sun and the sun is definitely making the average temperature rise all around the world. Using solar panels, you can also use the rays and heat to charge your batteries. Once these have been activated, they can be used to power your home. A good solar panel and battery might be expensive but can use one day in the sun to charge your battery for a couple of days. Depending on your lot and area you have available, you can choose to use both these methods as well. The roof is one of the best areas to place your solar panels, but you will need to have an expert help you with the construction. As for the windmills, they can be strategically placed along the lot to ensure maximum wind exposure and catch as much wind as possible. Water is not only used on the inside of your home, but you need to tend your garden as well. When it comes to setting up the water, we refer back to the selection of the site. If you are fortunate enough to have your home set up near a natural source of water, this can be used to help you with the water usage inside your home. However, rainwater is also sustainable, but not always reliable. The use of jerry cans and small water towers can be used to capture rainwater. Most farms have turned to boreholes that can be used to farm for water and this can be a great way to gather water for the inside of your home. However, it is expensive to actually set up the pipelines, but you will be saving a couple of bucks on your water bill. Lastly, your garden needs water as well and this can be done with the water you have already used. Sewerage water can be full of minerals and vitamins that can be used to enhance the growth of your garden and your vegetables. We don’t recommend using water from your toilet, but rather using some of the water from your bathtubs and your showers to help water the garden daily. Now that you have every set up for your green home, there are also a few tips that you can use to make it more sustainable and ensure that some of the water is never going to waste. Additionally, you will also save on the number of units that are used when it comes electricity. This tip can be used on the inside of your normal home, or you can do this for your green home. Simply put, instead of buying the cheapest appliances, you should consider choosing appliances that have been certified with an energy star. These appliances should use less energy whilst giving you the same functionality as a normal appliance. Water is really important and you need to do your best to keep it. By setting up small dams and even JOJO tanks around your yard, you can capture some of the water that comes from the roof with your gutters. Should you ever run out of water from your other sustainable sources, this will be a great way to keep you going for a while. When making fires, you should consider using renewable and natural wood products. This will not only be good for you and your home, but the environment will be conserved as well. You can use some of the wood from your own trees, but be sure to limit the usage and not to destroy all your natural resources. Gas can also be used as an alternative to indoor fireplaces to limit energy usage. If you have a specific part of the garden that won’t be consumed as part of your food supply, you can use this for sewerage. Depending on the amount of sewerage that is generated, you can actually use it to feed the grass around your lot. However, the smell might be a little tough to live with for many people. It is definitely much cheaper to have the materials used for building cast at your home. However, this can have an adverse effect on the environment you live in. Concrete leftovers will be scattered around the lot and this can inhibit the growth of certain plant species. We recommend choosing precast materials. It might be a little more expensive, but this will be great for sustaining your environment. If you have a garbage disposal unit, it is great and you can still make use of government services to get rid of it. However, this is not always efficient and good for the environment. It is much better to find products that won’t have a bad effect on the environment and you can have your own dumping site built in the lot. This will give some of these materials time to actually disintegrate and once again be part of the earth. We all know the saying is that bigger is always better, but this is not the case when building your green home. A smaller home is much easier to manage than a mansion and you can start with only a few things. Eventually, you can upgrade the home gradually and have more energy saving features that will conserve the environment. Unless you plan to walk for miles, it is much better to build your home closer to your work. You will not have to drive as far and save a little on gas as well. Additionally, spending less time on the road also means a reduced carbon footprint and we definitely believe that living the green lifestyle should not only be limited to your home. Lighting will be key to everyday survival, especially at night. However, you should look for eco-friendly lights. Most modern LED lights have been energy star certified and this makes them great for your home. They will light up the home without you having to deal with the massive heat emissions. Most of them are also brighter. Last but certainly not least is the issue of landscaping and if you can build your water fixtures to capture as much rainwater as possible, it will be really beneficial. Additionally, you can consider the roof garden as this will help you make the most of the space you have available and also capture some of the rainwater. Is It Worth It To Go Green? As we mentioned at the start, the term green living is not only for your home but also a lifestyle to consider. 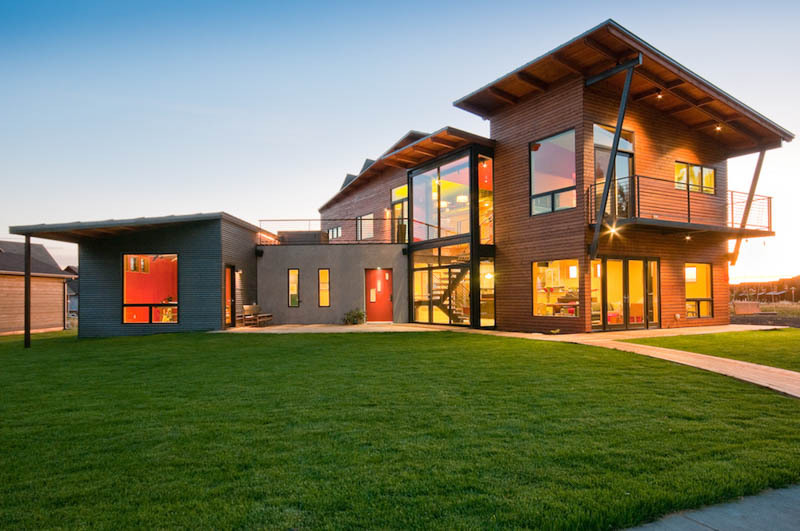 When building your green home, these tips and tricks should help you immensely to do it successfully. You will definitely need some professional assistance as well. It is definitely worth to go green and you will not only sleep much better at night but save a lot of money in the long run. We would like to thank you for reading this article and encourage you to share some of your thoughts. Let us know how you approached the green living dilemma of modern society.